This is your one-stop for all school news. Start by checking the Holy Family news below for system-wide updates and Personalized Learning news. Then, select your school(s) from the menu above to find all the news you need to know in one convenient spot. 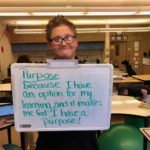 May 7, 6:30–7:00 p.m. – Personalized Learning Academy #4: Finishing Strong/What Next? Circle of Celebration – THANK YOU! We are truly in awe of our community of supporters. 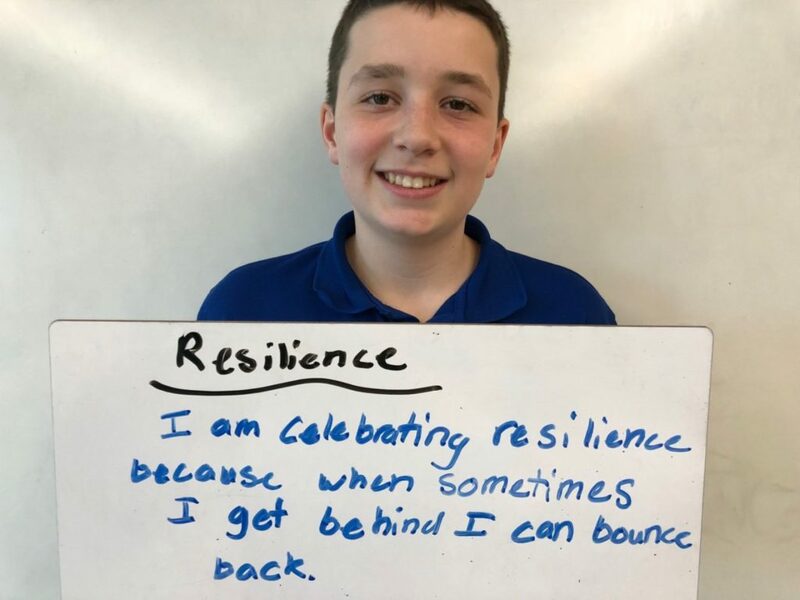 At Circle of Celebration on Saturday, April 6, Holy Family launched a three-year fund-a-cause initiative to support the most critical element of every classroom – our teachers! We were overwhelmed by the outpouring of support. In a matter of minutes, we raised $260,000 to support a new salary structure for Holy Family teachers! Thanks to everyone who join in to show how much we value our amazing teachers! If you weren’t able to be there, we invite you to visit holyfamilydbq.org/fund-a-cause to view the video and make a gift. Thank you for joining us in celebrating the countless merits of our system, and thank you for your passion and commitment to the continued success of our schools and our students’ futures. With your support, Circle 2019 raised more than $605,000 in total for our schools. Finally, we extend a special thanks to our sponsors and to the numerous volunteers who make it all happen. Items can be purchased online through the Holy Family eStore. Samples are available to try on at the Holy Family Catholic Schools Offices located at 2005 Kane Street. Office hours are Monday – Friday, 7:30 a.m. – 4:00 p.m. We encourage you to come in for a fitting before ordering. Sizing will vary between styles. As always, crested uniform apparel is only required at the middle and high school level. Registration is now open for Holy Family's 2019 Summer Camp season. This year, Holy Family will be offering 40 exciting camps, including academic, arts and athletic offerings for students in preschool through 12th-grade. Several camps filled up fast, but new sessions have been added. Keep your eye on what's new! Click here for the full guide to our 2019 camp offerings and registration. You can Earn Referral Credits! Parents of Holy Family students are the best advocates of our schools. To show our appreciation for your support and to thank you for your trust and confidence, we want to reward you! Your family will receive a $100 tuition credit for helping us identify new families to Holy Family Catholic Schools. Visit holyfamilydbq.org/referral for more information or to refer a new family today! I hope you and your family are having a blessed Lenten season. 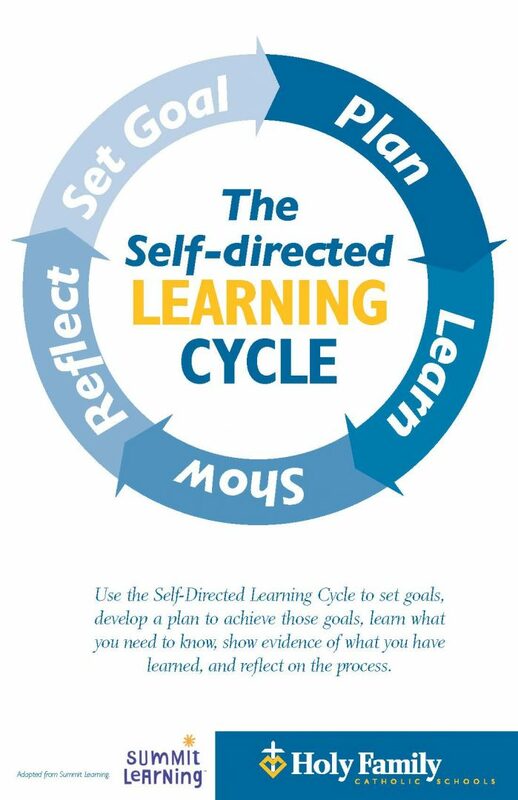 As we enter into the final months of school for 2018-2019, I wanted to provide an update on one of the changes we’ve made this year to support our academic vision to empower students to take ownership of their learning to ensure engagement, growth, and preparedness for the future. 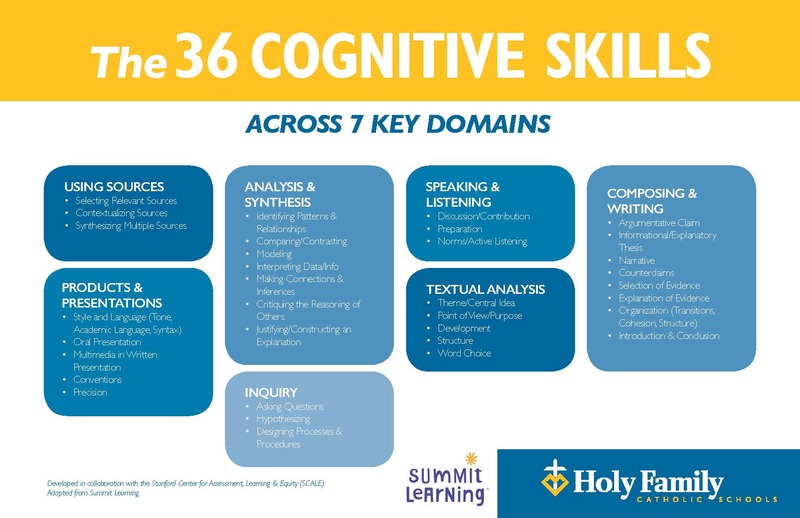 Students are engaged in rigorous projects that reflect the world around them, giving them practice with cognitive skills that will help throughout their life — like collaborating with a team, interpreting data, and presenting a persuasive argument. 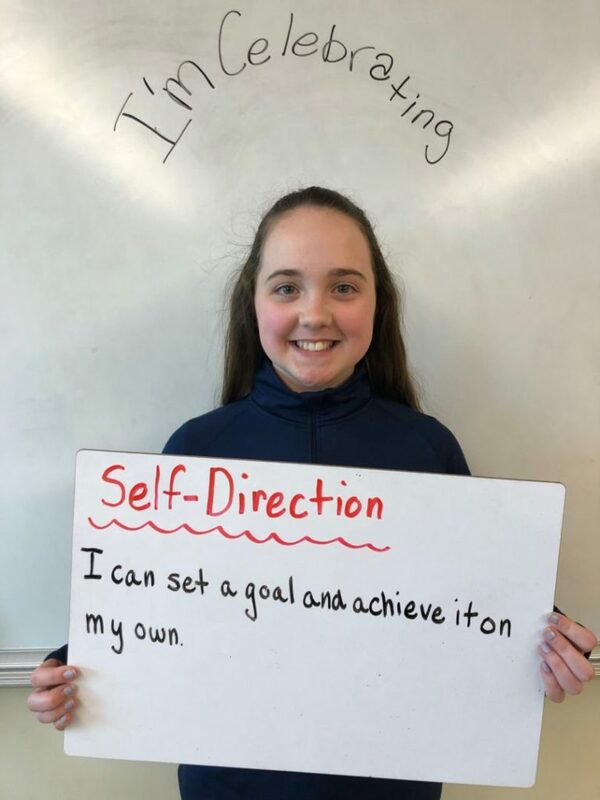 Students are having regular one-on-one meetings with a dedicated mentor, who is getting to know them deeply, helping them build habits of success and supporting them in setting and achieving their personal goals. 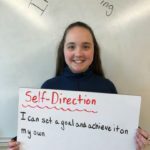 Students are developing “self-direction” — an invaluable skill that can be applied to any task in the adult world. 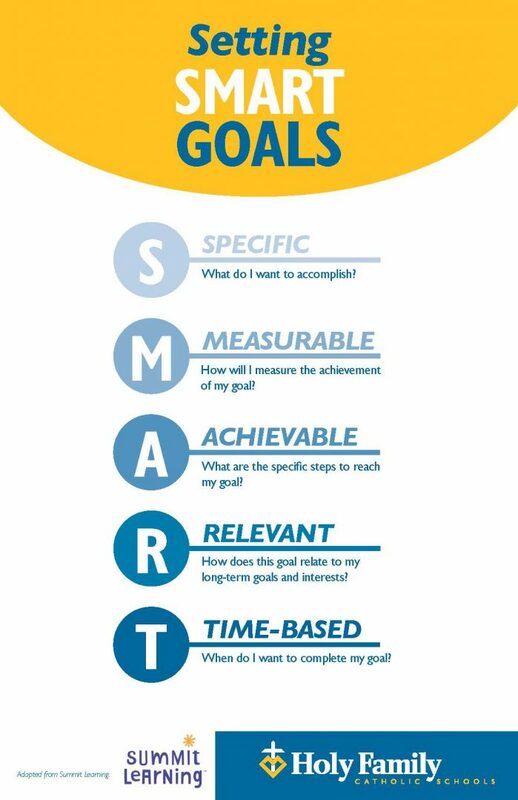 They’re learning how to set goals, make plans, and reflect on their learning. Successfully rolling out any change at school can be challenging, so I’m incredibly thankful for the dedication of our teachers who are putting in the hard work. 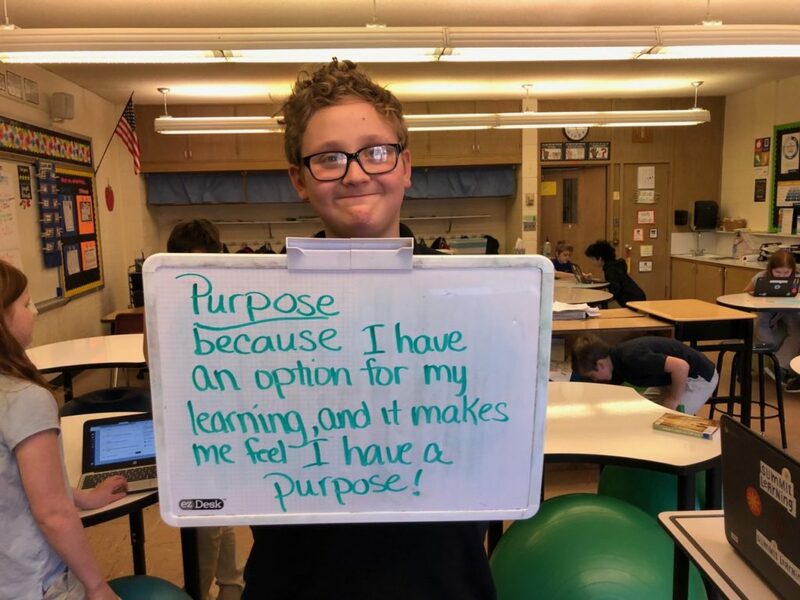 This school year we have trained and supported 40+ teachers who are implementing personalized learning for more than 340 students in grades 4, 5, 6, 7, and 9. Teachers and students continue to meet weekly in their mentoring sessions and that, too, has been a highlight. 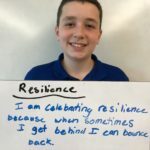 As one student shared, “I get to tell my problems to my teacher and I get to relax and sit down with my teacher and if it’s a major problem we will work on steps to solve it.” I am extremely pleased with the progress our system has made thus far and with the commitment of our students, teachers, and administration in making the program uniquely Holy Family. 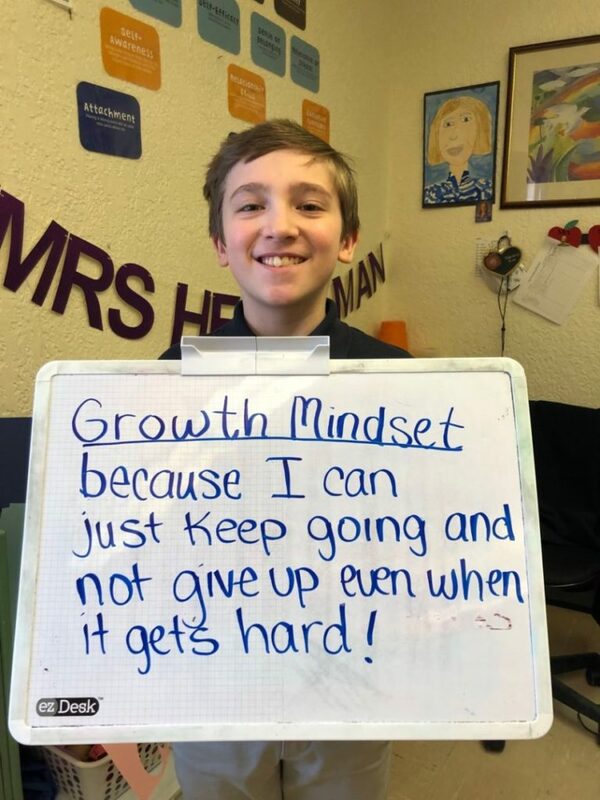 On a personal note, I too, have a son in personalized learning. I reflected on his recent ask whether or not he will be in the program when he moves to Mazzuchelli. I reacted as you might expect, and then pursued his request with a question. 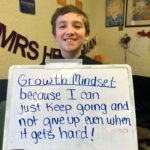 I asked, “Why wouldn’t you want to be in it?” He answered me, “Because I just want to go to class and have the teacher tell me what to do and do it.” After digging in further, the root cause of his angst was some stress he was feeling related to the mastery of required work with only a few months to go! I share this conversation with you because I want you to know that the opportunity to go back to the way it used to be or to be tempted to avoid the initial struggles of the rigorous work in personalized is so tempting! I understand this and ask you to hold tight to the promise that the struggle now will be worth it with the triumphs that will follow. We’re committed to building on this progress in 2019 and have set targets for improvement based on your feedback from the surveys, the Parent Possible group that meets monthly, and conversations we have had with all of you. We will again send a survey in May to track our progress. If you have a more immediate question or concern about personalized learning, feel free to reach out to me and/or your building administrator. As always, I welcome your questions. Please don't hesitate to reach out. 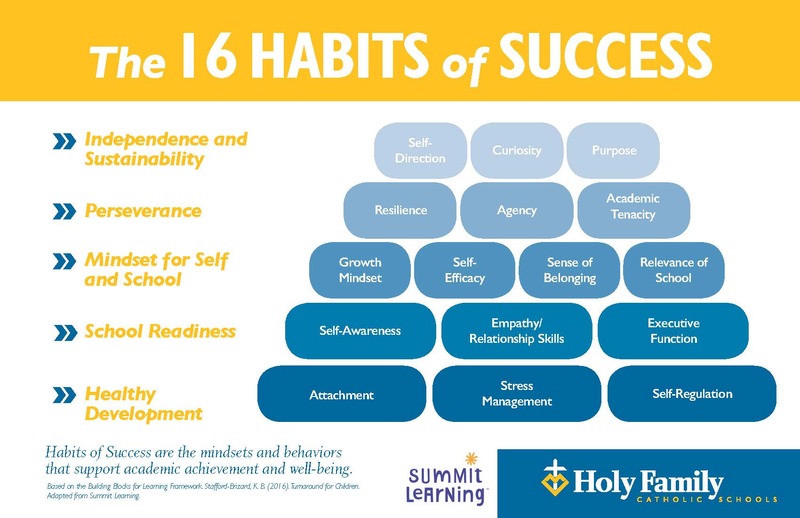 Check out the Habits of Success these personalized learning students are celebrating!